Elk Grove Police released a photo of the suspect who failed in his bank robbery attempt after a teller ignored his note demanding money. 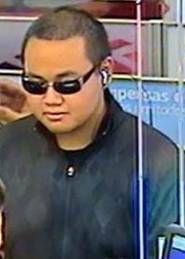 According to police reports, the suspect who is described as an Asian male adult, in his 20's, five feet eleven inches tall (5’11”) with a medium build entered the Elk Grove Boulevard branch of Bank of America in Old Town and gave a teller a note demanding money. After receiving the note, the teller hid under a counter and after about 30 seconds, the would-be robber left empty-handed. The suspect was last seen walking down a side street where a silver vehicle (pictured below) stopped to pick him up. 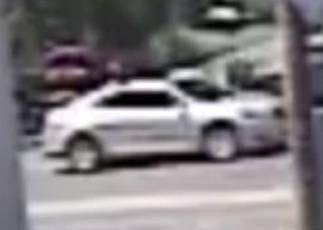 Anyone with information regarding this attempted robbery is asked to call the Elk Grove Police Department Detective Bureau at (916) 478-8060 or Crime Alert at (916) 443-HELP (4357). Callers to Crime Alert can remain anonymous and may be eligible for a reward of up to $1,000.00. Tips can also be sent via SMS text message by entering CRIMES (274637) on a cell phone, followed by Tip732 (agency identification number) and the message.